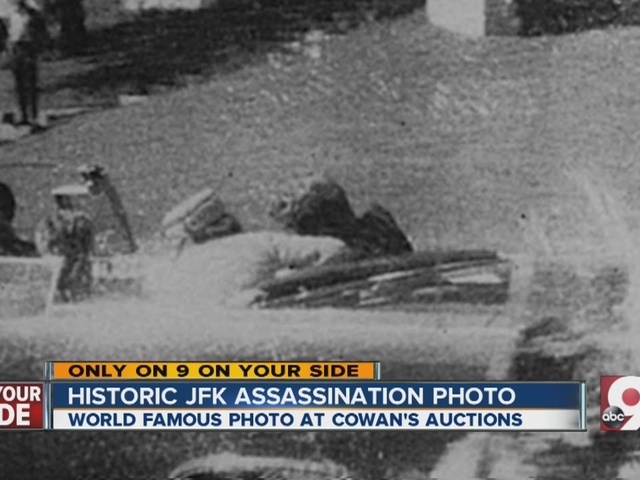 WCPO.com published this story on the 50th anniversary of JFK's assassination, Nov. 22, 2013. We're reposting it for the 55th anniversary. David Mann was in the U.S. Navy in the fall of 1963. He was a young officer on the deck of a destroyer in the Atlantic – one of the first ships deployed during the Cuban Missile Crisis. Jack Brennan, then 11, was in downtown Dallas and had just watched the president and Mrs. Kennedy drive by in their motorcade. Carol Williams, on a grade-school holiday, may have been the last person in America to find out that JFK had been assassinated. To a generation of Greater Cincinnatians, President Kennedy’s assassination 50 years ago was like 9/11 – a national tragedy they watched on live TV and unfold for days - a horrible drama they couldn’t turn away from even if they wanted to. Argue, if you want, that it didn’t compare in terms of death and destruction, but it had the same effect. In an instant, it took our breath away, rocked the foundation of a nation and created hated villains (Lee Harvey Oswald/Osama bin Laden), whose names still make us shudder and will stand for evil to Americans for all time. The now 60-somethings and older have never forgotten 11/22 or where they were when they first heard the news, or watching history in the making on grainy black-and-white TVs over and over that grim 72 hours from the Friday shooting to the Monday burial. RELATED: Share your remembrances below or on our Facebook page. Mann, former congressman and Cincinnati mayor, was in the U.S. Navy in the fall of 1963. Mann, now 74, was a young officer on the deck of a destroyer off the coast of South Carolina when he heard about the assassination. Although the news saddened him, Mann said the primary concern among his colleagues was whether something broader was happening than an isolated shooting and whether they should anticipate enhanced security requirements. Kennedy also was Mann’s inspiration for getting into politics. Like many Americans, Mann grieved via non-stop television coverage of the rapidly unfolding events. “I was sitting in my eighth-grade class at St. Peter & Paul School. It was about 2, 2:15 in the afternoon at that point. The teacher was Sister Mary Theresa. There wasn’t any chaos really, just anxiety. And we all put our heads down on our desks and prayed. That’s really my most vivid memory of those days, prayer. Prayed at school, prayed when we got home, went to church. “It was quiet around the house for days, mostly because we were all glued to the television watching the news and then the funeral, which I remember was on a Monday. Having the day off from school for the funeral, that’s when it really hit home that this was a national tragedy. “Ours was a family of Kennedy Democrats. Not politically – we were conservative – but personally. People liked Kennedy, World War II guy, young family, optimistic. Had gotten us through the Cuban Missile Crisis. So that’s how people took the loss: personally, like a death in the family. There was shock, but great camaraderie – everyone came together, especially in terms of grieving for Jackie and the kids. Brennan grew up in Dallas and was 11 when he and some sixth-grade classmates went downtown to see President and Mrs. Kennedy drive by. “We saw the motorcade about 10 minutes before he got shot,” the former Post and Enquirer reporter recalls. “We could see them clearly in the car. We were on Turtle Creek Boulevard about a mile and a half out of downtown. After the limo passed, Brennan said they walked back to the car with the parents who brought them. “They were going to take us out to lunch. When we got in the car and turned on the radio, we found out what happened – and that he had died. “The parents took us back to school. Everybody was pretty stunned. “I can’t say I had any profound thoughts about it then, but it’s a memory I’ve always carried with me because of its historical significance,” Brennan said. “I was in grade school in Laurel, Del., and the Kennedy-Nixon election is the first one I remember, and I remember being very interested in the outcome. My parents were for Nixon, and when we voted in school, Nixon won. There were plenty of Democrats in Laurel, but you could have counted the number of Catholic families on one hand. “My memory of JFK's assassination is different from most people's. People my age were in school, and they remember the principal coming in, the teacher telling them, everybody crying. “My family was on a trip: Mom, Dad, my little brother and me. My parents had taken us out of school to go see a football game at their alma mater, Duke University, so we were on the road, driving from Delaware to North Carolina. My father was in charge of the radio, and he never turned it on. Finally around 6, we stopped at a Howard Johnson's for dinner (as we almost always did in those days). We sat down in a booth, and my father, as he always did, went to get a newspaper. Imagine that: an evening newspaper. The first I knew about JFK's assassination was seeing it in a headline on the front page of a newspaper. Stunning. I can still see that newspaper. “After that, the game was canceled, and because we were out of school, we went to Williamsburg to sight-see. I remember very little about Williamsburg, I remember being in the hotel room watching more TV news than I had ever seen, and being disappointed, that there were no cartoons. I can still see the black-and-white images. I think I saw Ruby kill Oswald on TV, but I'm not sure. We've all seen it so many times now. “I don't know how it changed the world, but for me, it was the beginning of awareness that terrible, sudden things can happen that you have no control over. I vividly remember RFK's assassination, Martin Luther King's assassination, the Challenger, and of course, 9/11. Young, then 18, was home on leave after completing basic training at Lackland Air Force Base in San Antonio, Texas. “I was incredulous. I just couldn't believe it,” Young said. He and his family were troubled by the violent events. “We shared a sense of foreboding about the future and direction of our nation,” Young said. Remembering the slow but steady advances in the civil rights movement of the time, Young – an African-American – worried the effort might stop. “Time has tempered my feelings about JFK's presidency but at the time, losing him felt like the promise of youth and energy he exuded was lost,” Young said. Young thinks it is difficult to say what may have happened had Kennedy lived. “My thoughts regarding JFK's presidency are that he would probably have become a great president,” he said. “I think he would have grown into the job. “Nostalgia makes it hard to get beyond Camelot. It really was a good time,” Young added. “We still believed in government and we didn't look to destroy our leaders as we do today. However, I recognize JFK wasn't perfect, but I choose to remember the president who finally was coming around to understanding the need for government intervention in advancing the cause of civil rights in America. America seemed respected among her allies. The optimism for America's future was palpable. Sister and brother met Sen. John F. Kennedy when he visited their grandmother’s home on Park Avenue in Newport in 1960. Sylvia was 17 and had just graduated high school. Vincent was 14 and attending Newport Catholic. Their grandmother, Ethel Steil, was a Gold Star Mother, meaning she had lost a son in World War II. “My grandfather had been head of the Machinist Union in Cincinnati and he had just died. The union was asked to set up campaign visits. They wanted to visit mothers who had lost their sons in the war. They thought of my grandmother because she had been president of Campbell County Gold Star Mothers for 15 years,” Burke said. Burke was already volunteering for the Kennedy campaign even though she was too young to vote. “I was going to work at Government Square where Sen. Kennedy was going to speak that night. I already had a hat and a banner,” she said. Kennedy arrived at her grandmother’s home with a gaggle of political celebrities, including Ohio Gov. Michael DiSalle, White House Press Secretary Pierre Salinger and Johnny Peluso, who would become mayor of Newport. “I think there was one police car. It was nothing like today where you have all this security,” Burke said. Kennedy sat at the dining table and had tea with her grandmother and two other Gold Star Mothers. Burke, Ziegler and other family members filled the room. “He was a very tan, good-looking young guy,” said Ziegler. “He was so nice. When he left, my grandmother, my aunt Mary Lou, my mother and I got to hug him and give him a kiss,” Burke said. Three years later, Burke was working for ATT in the Kroger building downtown and was one of the first people to get the news. “I was actually working on the teletype,” she said. “I sent through a picture of JFK with his birth and death dates on it. Alfonso Cornejo was at his home in Mexico City the Friday afternoon Kennedy was shot. Cornejo, just a boy, remembers rushing to his balcony to ask her what had happened. The young president had visited Mexico the year before he was killed, and Cornejo remembered going to see him with his mother, who was a big JFK fan. The president had ridden in a convertible down the city’s main thoroughfare, no protection in sight, Cornejo recalled. After hearing Kennedy had been shot, Cornejo turned on his family’s small black and white TV to try to learn more. He remembers an American reporter who lived in Mexico and was fluent in Spanish was on one of the stations, translating the U.S. networks’ coverage word-for-word on live TV, he said. JFK was gearing up for his presidential run when Tom Luken, 88, met him in Cincinnati at a Democratic dinner meeting in 1958. At the time, Kennedy was not well-known, but the elegance of Jacquelyn Kennedy left an impression on Luken. “One memorable thing about that was Jackie was there, and everybody was mesmerized. Just seeing Jackie was one thing, nobody had ever heard of her,” he said. In October 1960, just weeks before Election Day, the presidential nominee spoke on Fountain Square before joining a fundraising dinner at the Gibson Hotel roof garden, where, Luken recalls, organizers sold 1,000 $100 dinners. Luken, who later served in Congress, was U.S. attorney working in his office in the Potter Stewart courthouse downtown when word of Kennedy’s shooting spread. The assassination united the country, Luken said, and paved the way for President Johnson’s extraordinarily productive term of creating Medicare and Medicaid, Civil Rights laws and anti-poverty laws. Robinson-Benning was an Auburn High School cheerleader in Rockford, Ill., when Kennedy was shot. More than that, Robinson-Benning’s mother was politically active, a Kennedy supporter who worked the polls on election day and hung his picture on their living room wall when Kennedy was elected. Robinson-Benning remembers her community being very angry in the days following the shooting, angry and worried about the future. “I was in my third-grade class at Carver Elementary School in Winston-Salem, N.C. The principal announced it over the P.A. system, and I remember some of us crying. I remember being terribly afraid and unsure of what was going to happen next. I wasn’t thinking about nuclear war or anything, just that fear of the uncertain after hearing about this. School let out early and I got home before my parents did. I remember being basically scared all the time I was there. “I remember watching a lot of what happened on TV it was all that was on, and to be frank, I wasn’t happy about that. No cartoons that Saturday morning. I spent time watching people file into the Capitol rotunda to view the casket. I remember liking that I’d learned a new word: rotunda. I think I remember the funeral procession, the casket and the caparisoned horse, boots backwards in the stirrups. Great deal of curiosity about that. But mostly, I remember the crowds filing past the coffin. Oh, and the soldier, sailor, Marine and airman standing there for so long. I wondered how they did that. “From the perspective of time and maturity, I think of how my industry has changed. The network evening news used to be 15 minutes long. Not long after the assassination, it doubled. Thanks to Zapruder, we became aware of the power of video. On a deeper level, the assassination seemed to boost the enormous social change of the next several decades, as if signaling a change from an old established order to a new freedom. I think we became less trusting of government and more willing to believe the very government John Kennedy led turned on him and killed him. And I believe the assassination still haunts us today, with its many, seemingly unanswered questions. “It's humbling to know now such a significant event took place in my lifetime,” said Killian, who was just 4 years old when John F. Kennedy was shot. His mom, sister and he gathered nervously in front of their black and white TV—his father still at work. He remembers it was very important, because normally they did not watch TV during the day. “Mom was crying - it was confusing - why did the TV show make my mother cry like that?” he wondered as a small child. 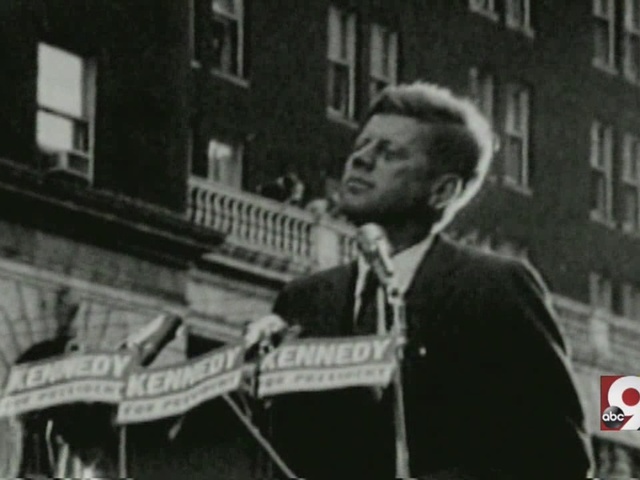 “The name Kennedy was repeated over and over. I did not know why. For days, the entire family seemed frightened of something,” said Killian. Otten heard the news of the Kennedy assassination the same way he delivers news to students today. “They broke in on the P.A.,” said Otten, who was a senior at Elder when the president was shot. The yearbook from Otten’s 1964 graduating class has a few pages devoted to the late President Kennedy, including a student’s sketch of JFK and a prayer from the Roman Catholic president’s inauguration. Otten said the assassination “put a pall over everything that we were doing. We had planned to go out with our dates that night, our girlfriends, and it was just a miserable night. Everybody wanted to go home early. “I was in my second-grade classroom at Kilgour Elementary School in Cincinnati. I remember being sent home and then watching the shocking news accounts of what had happened with my brother and sister on our black and white TV. I can still remember what room we were in. My mom was working, so a babysitter came over to watch the three of us on this day that has become one of my earliest memories. “When JFK was assassinated, I was 12 years old and in the seventh grade at St. Jude in Bridgetown, on the west side of Cincinnati. I actually think JFK was the first President that I actually remember. I felt they were a ‘magical’ family. A young family with two young children in the White House was not common and the fascination with all things Kennedy made this a memorable time for me. “I remember the intercom going off school-wide and we were all called to the church where we were told our President had been shot and was fighting for his life. Our goal was to pray for his recovery and our country. It felt like hours that we were in that church praying as a school body. I do not remember them telling us at school that he had died, but I do remember going home and seeing my mom crying and her telling us that our President had been assassinated. Bortz was on Government Square when he learned Kennedy was shot. "Everybody was shocked, concerned, frightened," said Bortz, Towne Properties LLC principal. "If this can happen to our president, what’s next?" But the news impacted Bortz on a more personal level because he was on Harvard's freshman football team with Ted Kennedy. He had spent time at the Kennedy family compound and met Jack Kennedy when he was a U.S. Senator. "He was such a charismatic, handsome guy," Bortz recalled. "I think he got a lot of young people interested in government, heightened the interest and respect of government. I think we were all proud that he was our president." Years later, not long after Robert F. Kennedy was assassinated in 1968, Bortz visited his former classmate in Washington. They didn't speak at length about the assassinations, but Bortz recalls Ted Kennedy conversing with his three sons for the better part of an hour. "He couldn't have been more gracious," he said. “I do remember that day very well. I was in second grade at Beechwood School in Fort Mitchell, 7 years old. Another teacher came to our room and when our teacher came back to her desk, she was crying. A little while later the same teacher came to the glass window in our classroom door and made the sign of the cross. A short time later, our school was dismissed early and I walked home to my house that was across from the school on Beechwood Road. “My mother was crying and also our kindergarten teacher’s husband died of a sudden heart attack at around the same time that day, so it was a double sadness for our school. 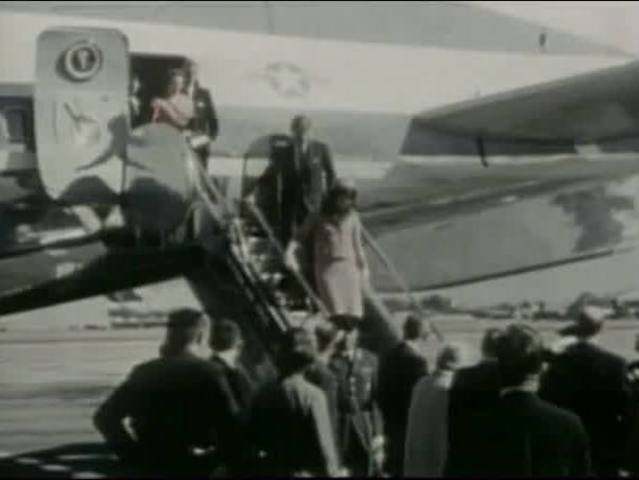 Broering and her mother shook hands with Sen. John F. Kennedy on the tarmac at CVG during a campaign stop in 1960. 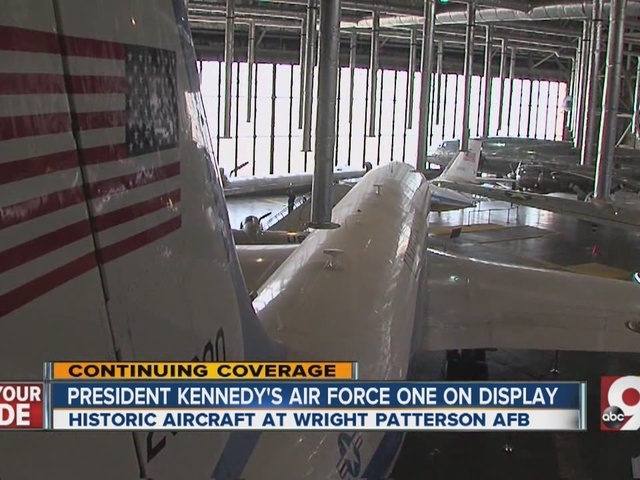 “Our family was very excited about Kennedy’s campaign and very excited about his visit. My whole family was very supportive of him, especially my mother,” Broering said. Three years later, Broering was in German class at St. Henry High School when President Kennedy was shot. “We didn’t have an intercom. Somebody just came to the door and said the president had been shot. I don’t recall praying. Our teacher was a little German nun. We all became very somber. “When I got home, my mother was very upset. The whole family was upset. We were a Democratic family to begin with. He was a good man. We were worried about the rest of the country accepting a Catholic president, and we were happy they did. I do believe he would have been re-elected. Callery was coming back from lunch to his job at Walter Woody and Heimerdinger, a Cincinnati Municipal Bond Firm, wheh he heard that the president had been shot. He assumed it was a hoax. “[I] thought it can’t be. A very sad feeling overcame me. Others couldn’t believe it,” said Callery, who was 22 at the time. That weekend he watched and watched the TV… and cried. 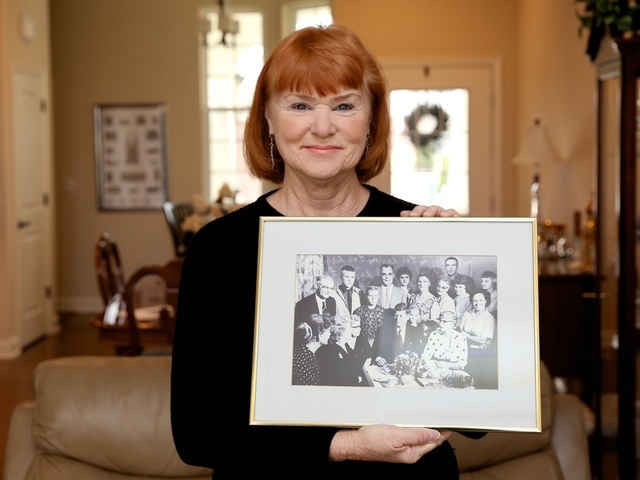 Emmett remembers her mother, who had attended Kennedy’s inauguration, being devastated. Emmett was glued to the TV for the rest of the weekend while she was home. A practicing Catholic, she attended a special prayer service at Our Lady of Victory, her parish church in Delhi. Contributors: Bob Driehaus, Lucy May, Dan Monk, Jessica Noll and Kevin Osborne.